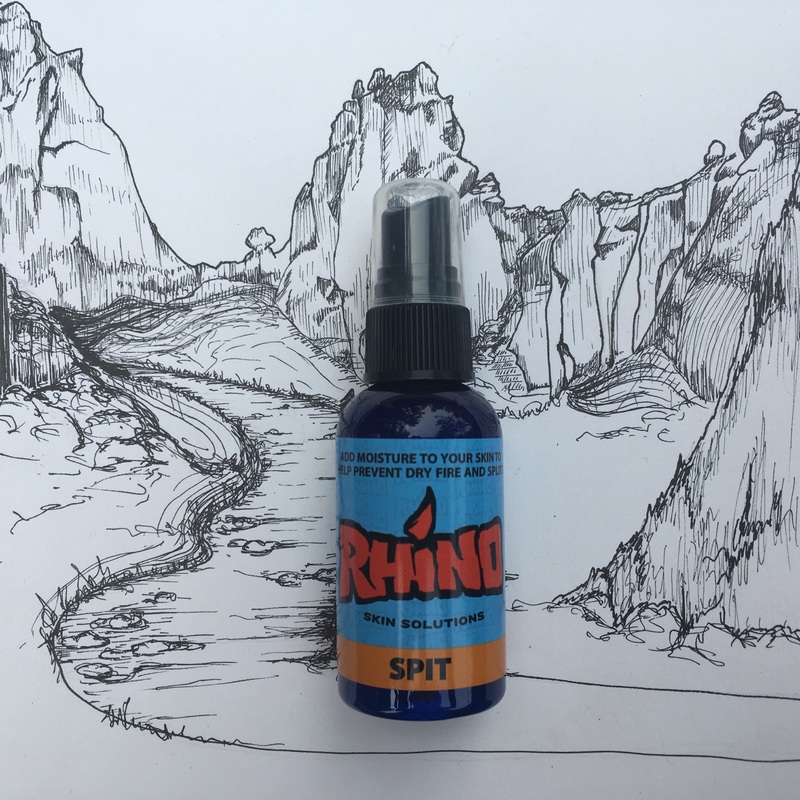 Rhino Skin Spit is a non-greasy, aloe-based spray designed for climbers with overly dry hands who tend to glass or dry-fire off holds. It's also very effective for winter climbing when the hands are especially dry. Skin Spit hydrates the skin to make it more pliable, durable, and flexible preventing splits, cracks, and glassy skin. INGREDIENTS: ORGANIC ALOE, WATER, LEMON JUICE, HONEY, LAVENDER, SUNFLOWER LECITHIN, XANTHAN GUM.